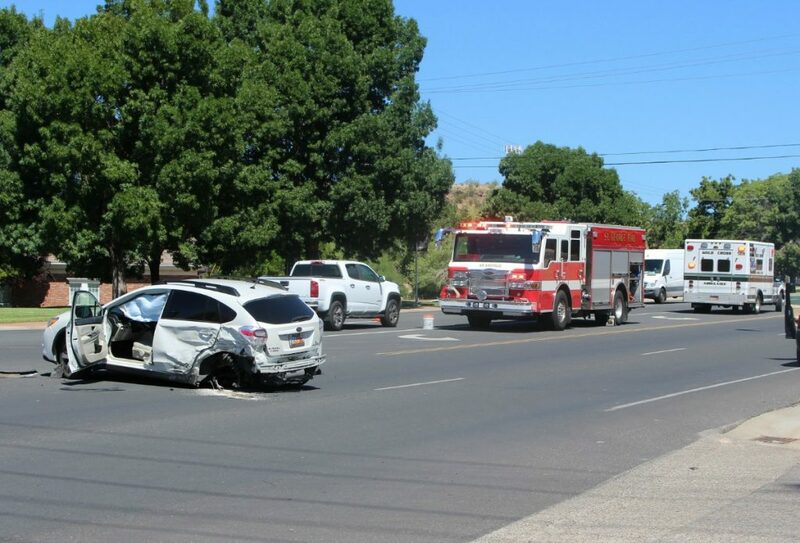 ST. GEORGE — A two-vehicle collision that resulted in two drivers going to the hospital was triggered when a driver pulled out in front of another vehicle Thursday, leaving the oncoming driver too little time to react. 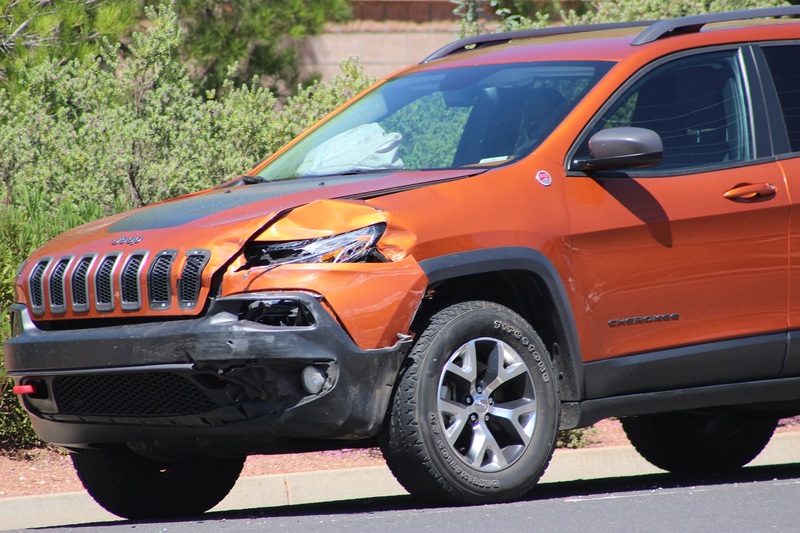 At 11:15 a.m. officers and emergency responders were dispatched to a crash that was reported at 1250 N. Bluff Street involving a white Subaru four-door passenger car and a burnt orange Jeep Cherokee. Upon arrival officers found the Subaru heavily damaged blocking the northbound inside lane of North Bluff Street while the Jeep was pulled off to the right-hand shoulder on the southbound side of the street. Additional officers responded and assisted with traffic control while emergency personnel tended to the scene. 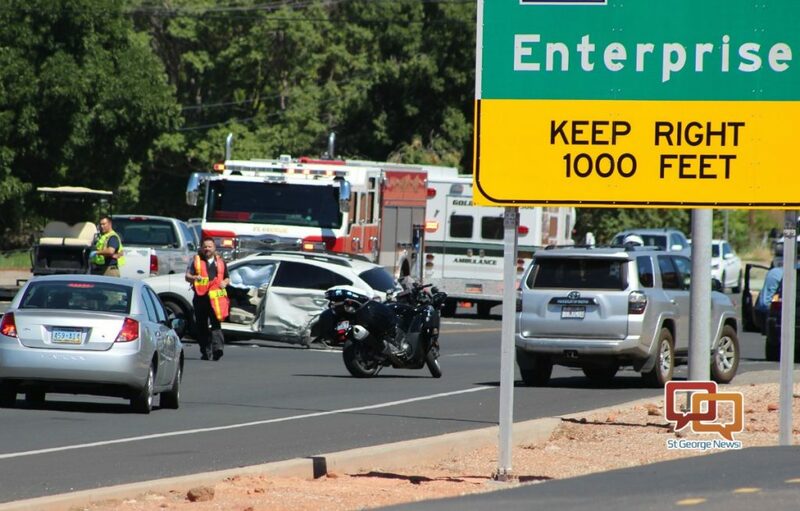 Both drivers were injured in the crash and were transported to Dixie Regional Medical Center by ambulance, St. George Police officer Ken Childs said. “From my understanding at this point the injuries were minor and nothing life threatening but both were transported to the hospital,” Childs said. Two drivers who were eye witnesses to the crash pulled over immediately after it happened, Childs said. They later provided statements to police describing what they saw. The witnesses told police that the Subaru was stopped on the corner of West 1250 North as the driver waited to make a left-hand turn onto North Bluff Street just as the Jeep was heading south on the same street. 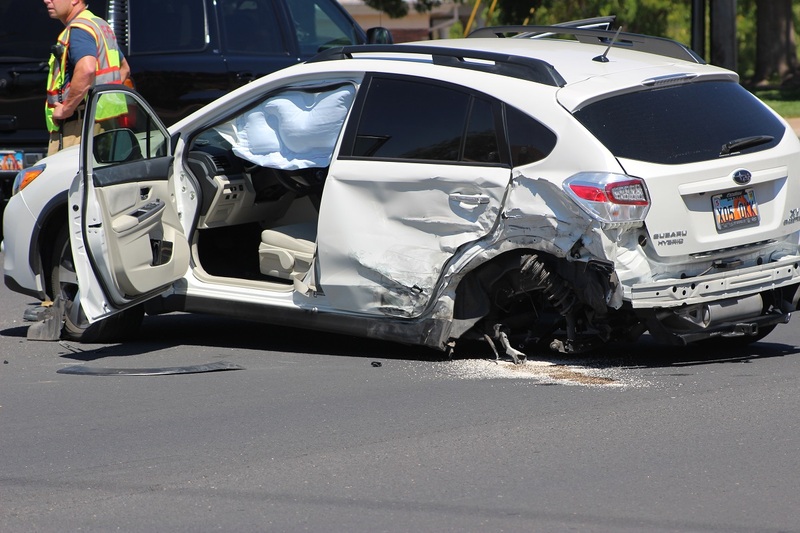 The Subaru pulled out into traffic to make the left-hand turn and was struck by the southbound Jeep, Childs said, with an impact that sent the Subaru spinning in the middle of the roadway. 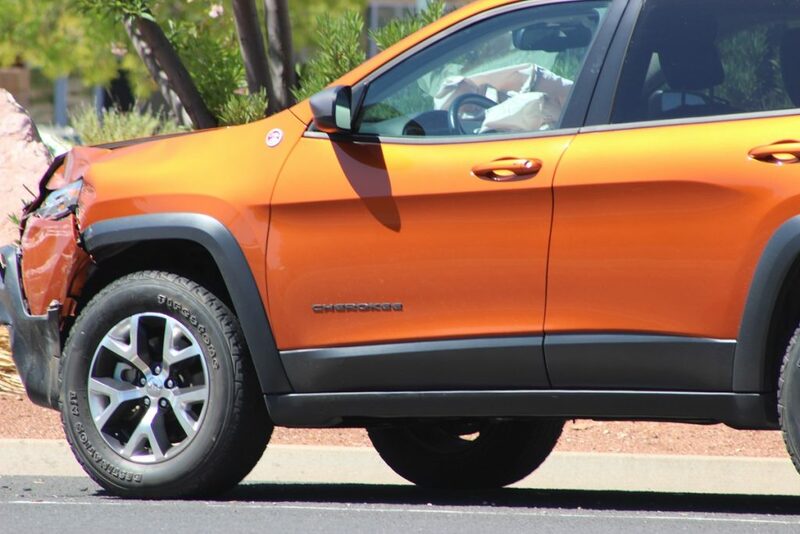 The man driving the Jeep had no time to react. “From what the witness said, he didn’t even have time to stop because she pulled right out in front of him,” Childs said of the Jeep driver. One of the Subaru’s rear wheels came off during the crash and was later located near the corner of West 1200 North, more than 100 yards away from where the crash occurred. 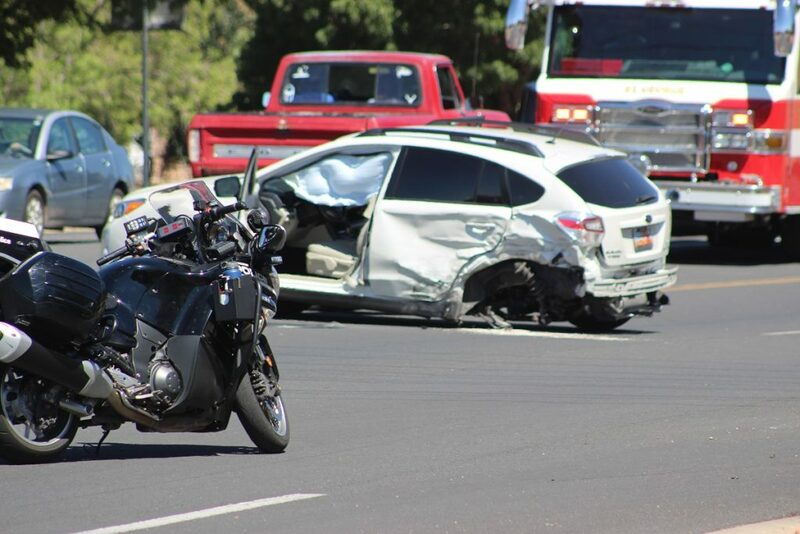 The woman driving the Subaru will be cited for failure to yield, Childs said. 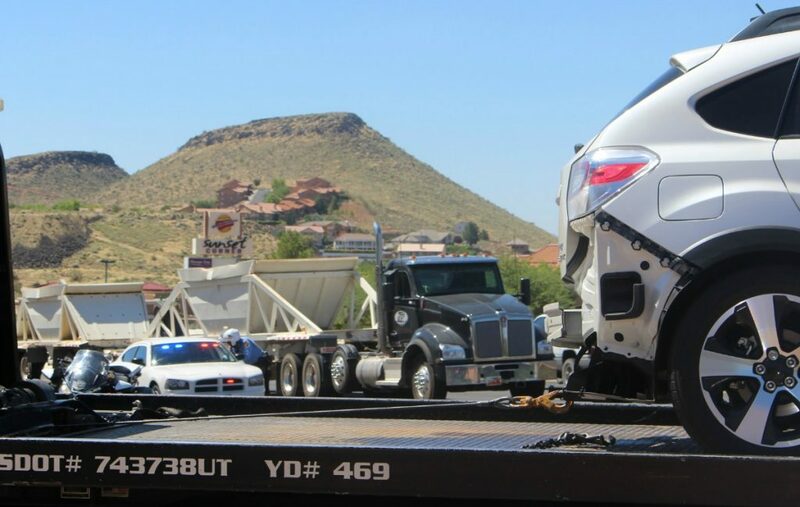 Both vehicles were extensively damaged in the crash and were later towed from the roadway. “Strikes again” says it all. Emperor wears no clothes.